For almost 20 years Muhammad Asif Younus and family have been severing Indian Cuisine in the Victorian Quarter. 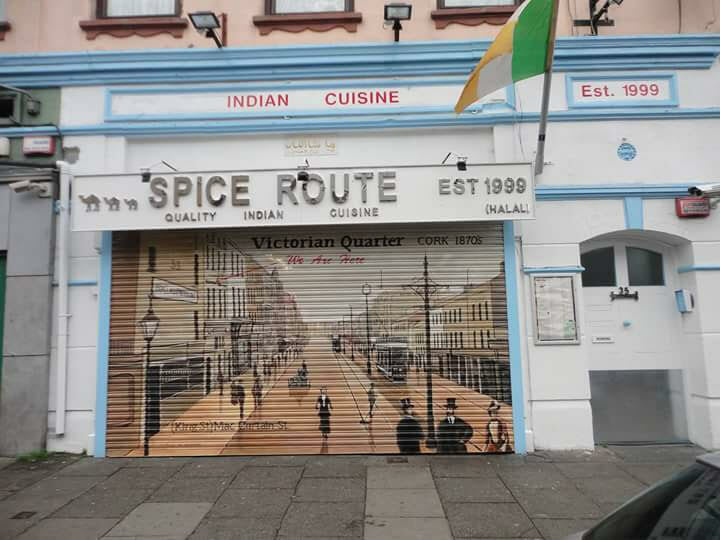 The Spice route was established in 1999. The diner and take away use Halal Meat from a local supplier based in Cork. ALL MEATS BONELESS”EC NUMBERS(EUROPEAN COMMUNITY) are as follows lamb(EU367) beef(EU296) chicken(EU814) we only use topside of beef and all beef is irish origin,we only use legs of spring lamb,we only use top quality chicken breast.